Despite some rain early in the day, today’s MHvZ event was quite good. We tried out some changes to standard Survival, and I got a lot of use with my Bullpup RS, with newly installed MTB Hellcats. 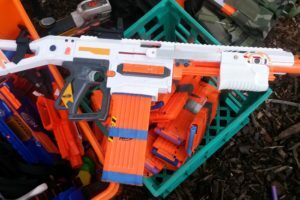 In this Nerf game report I’ll be going through the main blasters that saw use and the gametypes we played, and in particular how they differ from previous events. 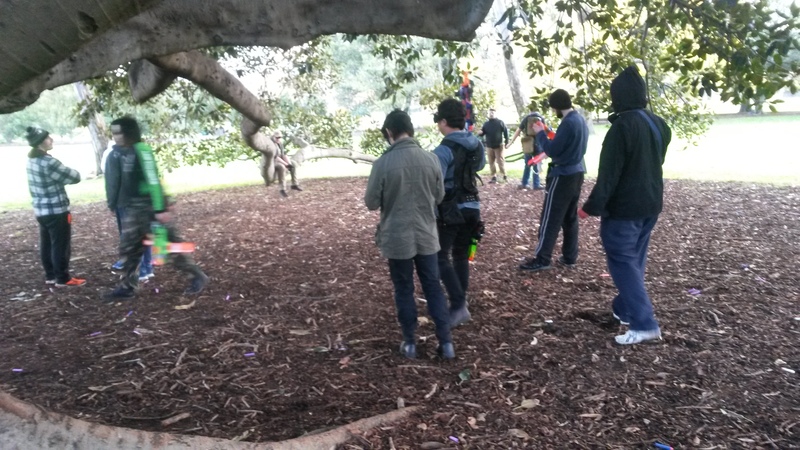 Survival with Hidden OZs – Standard HvZ gametype, humans try to survive for a given amount of time (or until the last human falls). Zombies are given access to upgrades at various times, we used Infectors and Tanks available from the start and Husk at 5 minutes. There are some number of hidden OZs, who are effectively the same as Traitors in Secret VIP. If a human is hit by a dart, they are stunned for 15 seconds. If there are any OZs still hidden as humans when the Husk is made available, they are automatically turned into zombies. 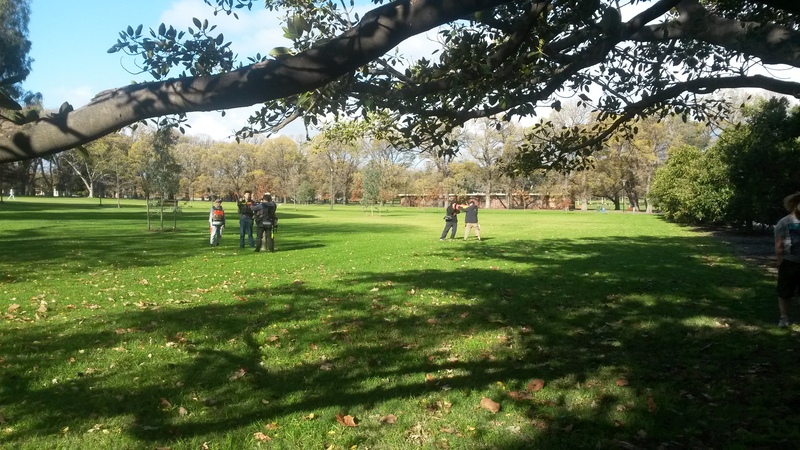 Squad Survival – Humans are pitted against each other and are in 3 person squads. 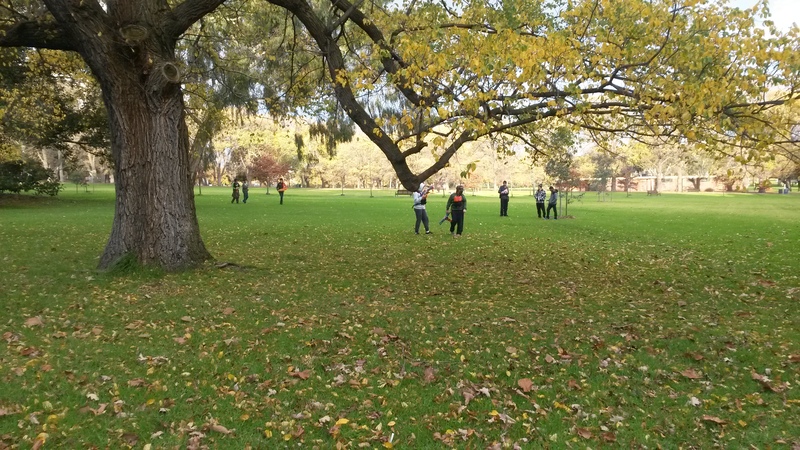 The last squad with human team members is declared the winner. 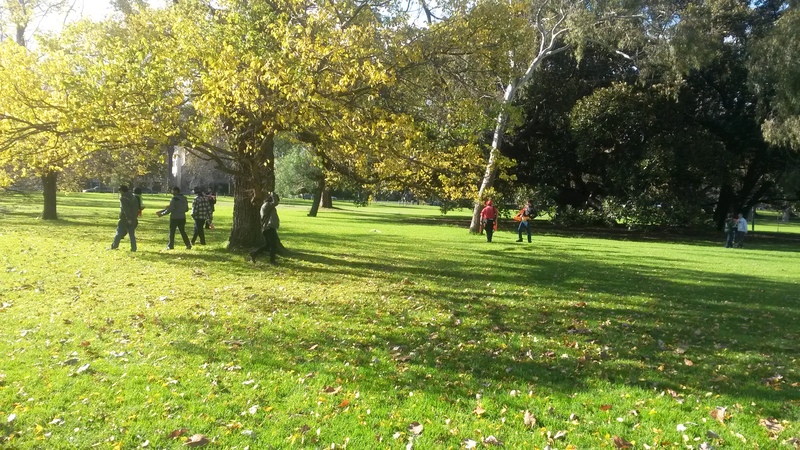 HvH combat is taken from 6 Round Sweep – a dart hit forces a human to respawn at a nearby tree. During this time they are invulnerable against darts and cannot fire, but are still vulnerable to zombies. Humans have 3 respawns before becoming a zombie by elimination, but if tagged by a zombie get turned immediately. Zombies tag humans with their hands onto any body part, blaster, tactical gear, etc, turning the human into a zombie. If a human hits a zombie with a dart, the zombie is stunned for 15 seconds. A human can also stun a zombie with melee, but only with a direct hit to the back. It should be noted that MHvZ recently introduced a 120FPS muzzle velocity cap, preventing the use of blasters such as brassed Sentinels and high power Longshots. 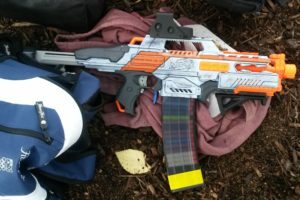 Rebelle Sweet Revenge (light mods, 7 dart cylinders) – with my new 7 dart cylinders, I was able to engage zombies with a lot more confidence, however in all the times I actually had to draw them, was tagged before I used more than 5 darts from each. 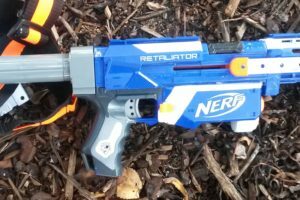 Elite Rapidstrike (various motors, LiPos) – high ROF blasters that are devastating at close range and against groups, though serious trigger discipline and practice is necessary to use efficiently. 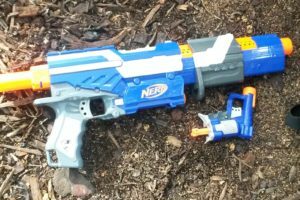 Due to a previous pusher motor problem, my Bullpup RS currently has a -3240 pusher motor, rather than the -3250 pusher motor I prefer. The -3240 is significantly faster, to the point where I can’t reliably fire 2-dart bursts with it, and the pusher stops outwards in the magwell all too often. 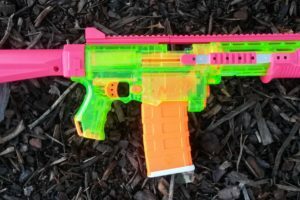 With this pusher, I fire off more darts than I would like, and so go through a lot more ammo than I normally would. I have another -3250 on the way for replacement. The MTB Hellcats on the other hand, were glorious. Instant spool up and very nice harmonious noise, with excellent performance. I performed a number of reaction snap shots, and the motors were almost always at full speed by the time I actually got a shot off. Highly recommended. 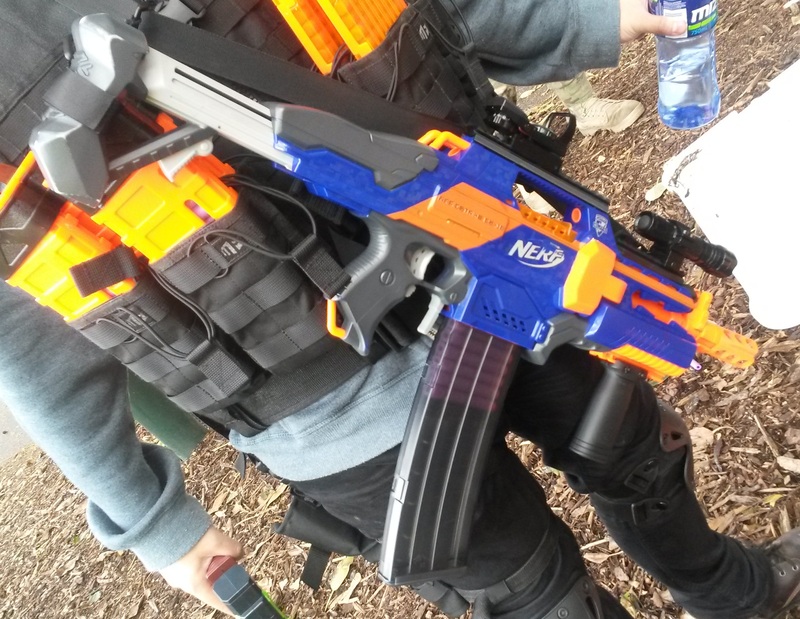 Elite Retaliator (various pump grips, upgrade springs) – solid pump action springers that are probably the best all round springers that are legal at MHvZ. 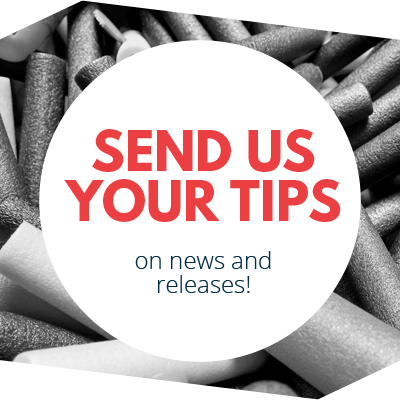 Though somewhat expensive to construct considering the cost of a good pump grip, they are very robust and more powerful than the other Elite clip (mag) system springers. 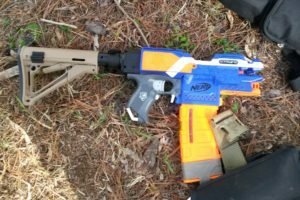 Elite Rampage and Alpha Trooper (various springs) – effective basic pump actions. 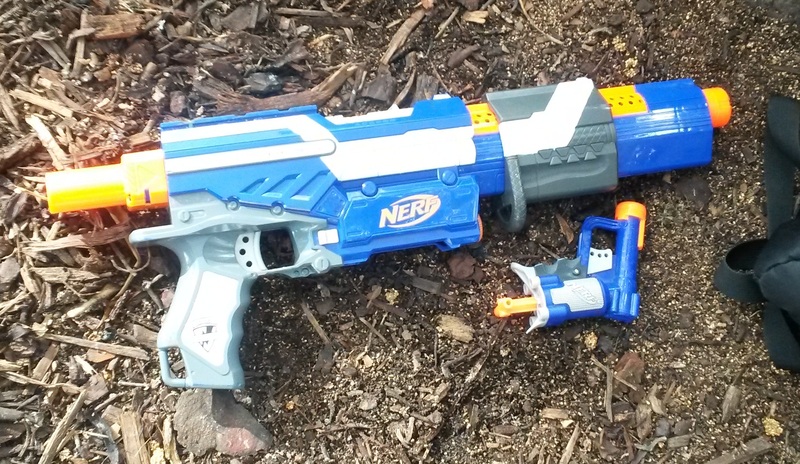 Not quite as powerful as Retaliators, but require even less work and are pump action out-of-box. 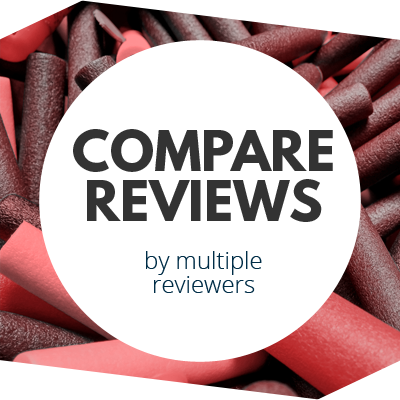 Good entry level and all round blasters. 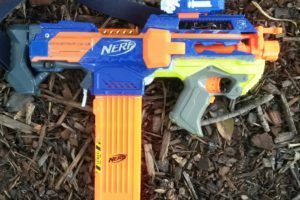 N-Strike Raider (unknown mods) – why anyone still uses them baffles me, considering there are Rampages *and* Elite Alphas in the same loaner bag. They’re weak and love jamming, there really is no reason for them to be chosen over any other blaster really. 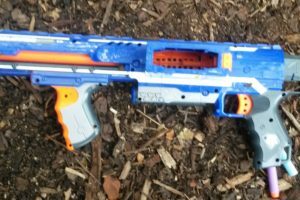 ZS Slingfire (upgrade spring) – same Slingfire used by the same person, it’s decent but certainly overall inferior to a pump action or flywheeler for overall utility. 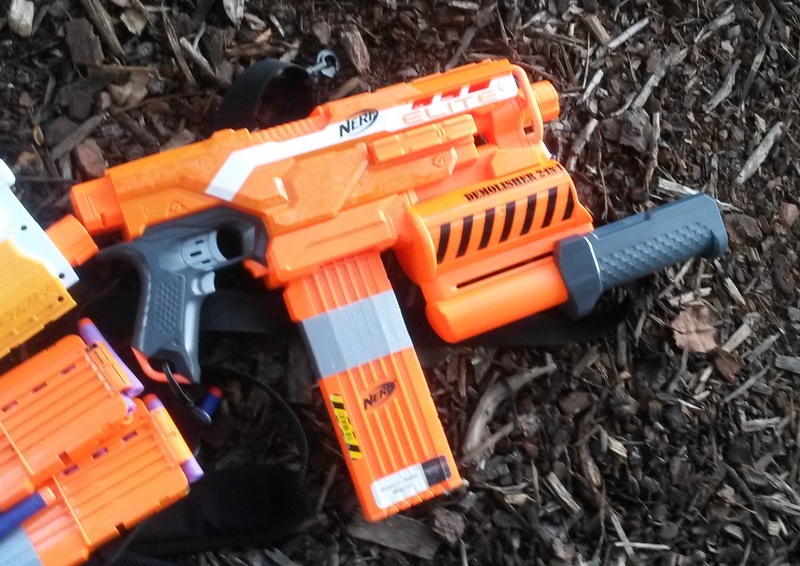 Elite Stryfe (various motors, LiPos) – good ROF, decent range blasters that are quite easy to use and very effective. Lower ROF than Rapidstrikes, but higher ROF than just about any springer. 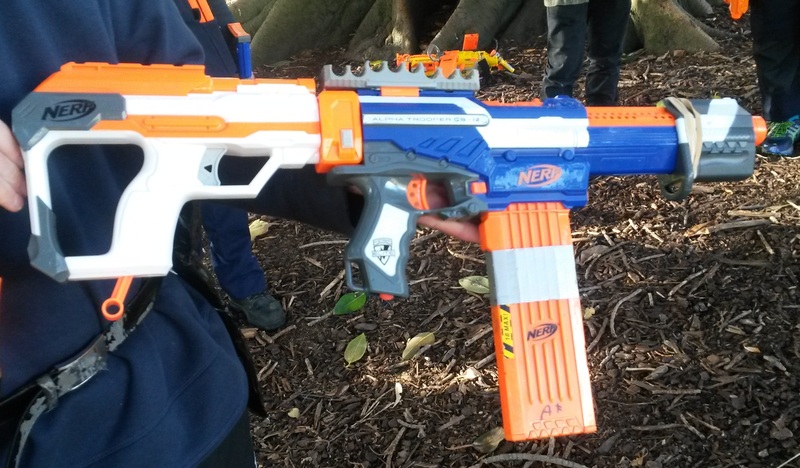 Highly customisable so every one besides the loaner blasters is unique and special. Lanard Quadshot (couplered, 3 dart absolvers and rocket pegs) – gave this thing a try today just for fun. It was OK firing rockets, I only fired when zombies were at close range so range and accuracy weren’t a significant issue. There’s really no practical reason to use it to fire rockets, they’re far less common than darts making scavenging a pain. As the picture shows, part way through the event, two of the rocket pegs got broken, I believe due to an unluckily timed Infector melee backswing, just after stunning said Infector. Using 3 dart absolvers, it somewhat more usable, however I believe 3 darts is not enough for an effective spread. 6 darts definitely is, and has been proven to be effective in previous events with other high power blasters, but with my lower power Quadshot, does not have practical range. I will likely experiment to find a good balance of effective spread and range. 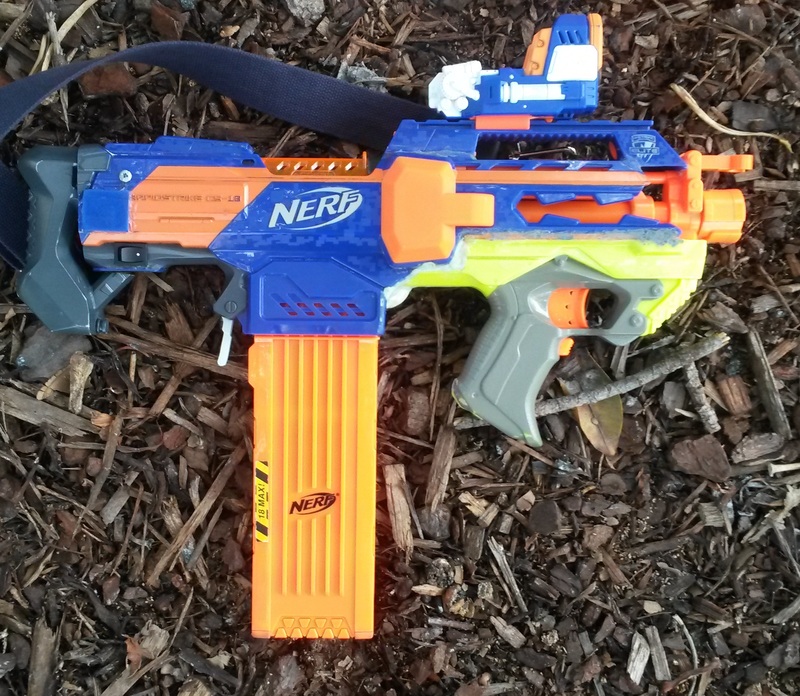 ZS Longshot (pump grip, upgrade spring) – not as powerful as the other Longshots I’ve seen in other events, this one is significantly weaker but still packs a good punch. It was decent for mid range combat and against a few zombies, but was rather poor against multiple zombies in close range due to its relatively slow ROF. Elite Hyperfire (stock) – was nice seeing one of these in person. Unfortunately, it was quite a disappointment. 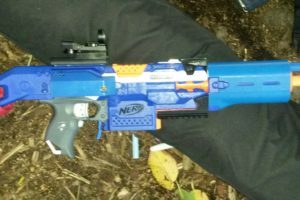 It had quite poor range, a ROF that wasn’t too special and absolutely hated anything besides perfect darts, and so jammed up rather frequently. It was also smaller than I expected. 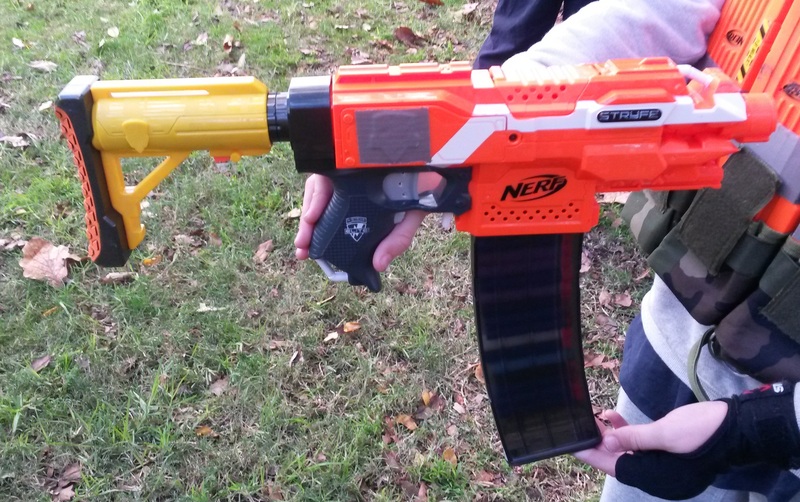 Definitely would not recommend using a stock Hyperfire, at least not a grey trigger one. 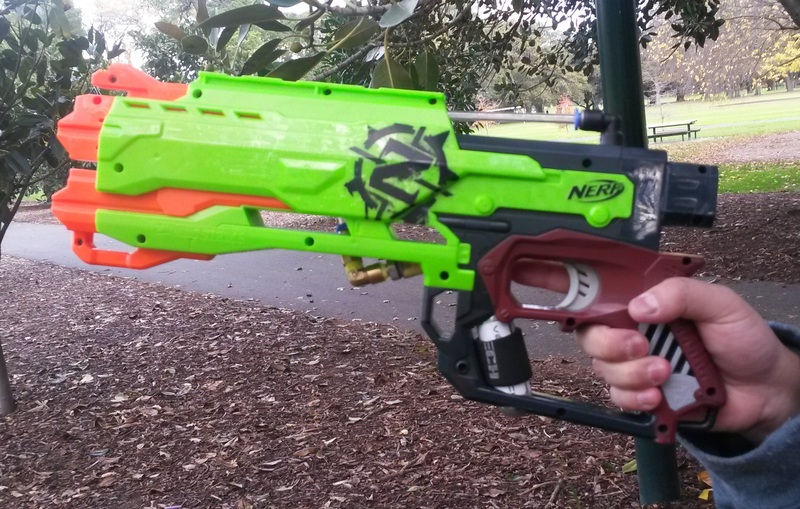 N-Strike Vulcan (stock) – players used it to look cool more than anything else. 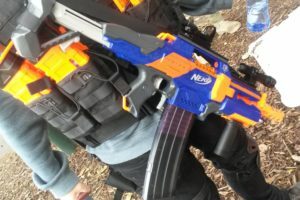 With massive bulk that’s awkward to handle, low range and ROF and general lack of HvZ friendliness, it‘s a very impractical (though still very cool) choice. 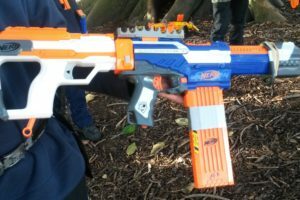 ZS Crossfire (CO2 system) – this is a CO2 powered blaster hence all the extra parts, designed to be a semi auto sidearm. 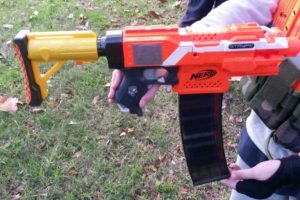 When it worked, it was pretty cool and quite effective, with 4 quick shots with decent power, however was very inconsistent about firing only one barrel at a time. 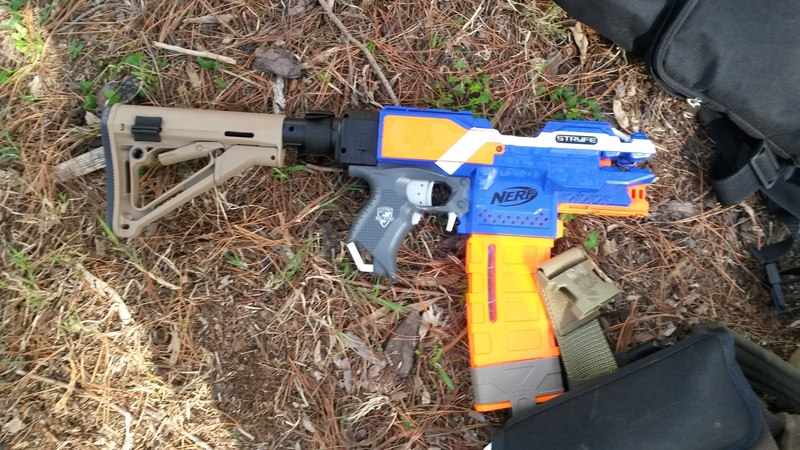 Elite Demolisher (stock) – stock flywheelers are generally nothing special with long rev up and significant flywheel deceleration, and offer no real advantages over stock springers, and this held true with this Demo. 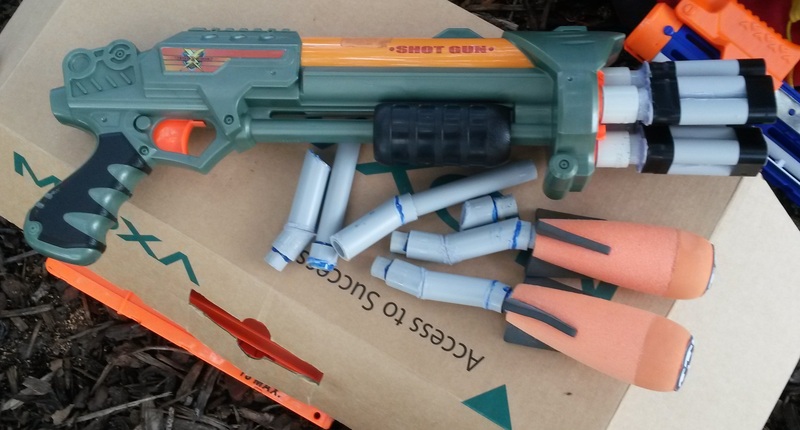 The rocket launcher was set up to also fire single darts, which was surprisingly effective, but overall not a particularly good blaster. 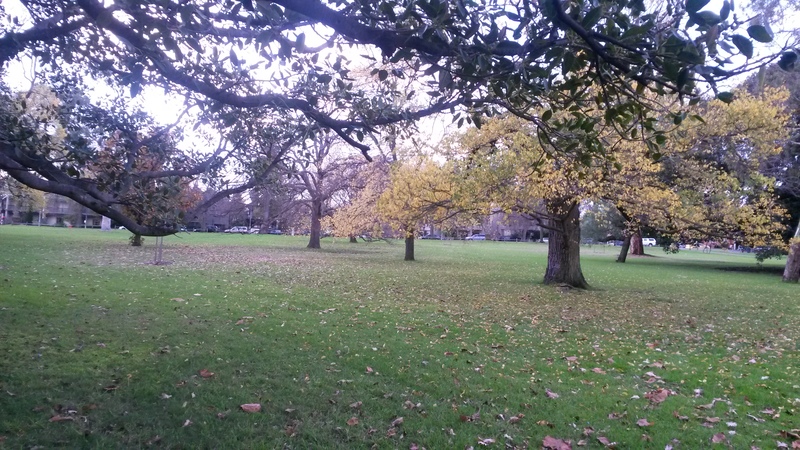 Same play area as always, however for the sake of convenience and speed of games, the southern area past the main tree line was made out of bounds. This didn’t make that big a difference on the games, however did make dart sweeping and chasing down humans that little bit easier. 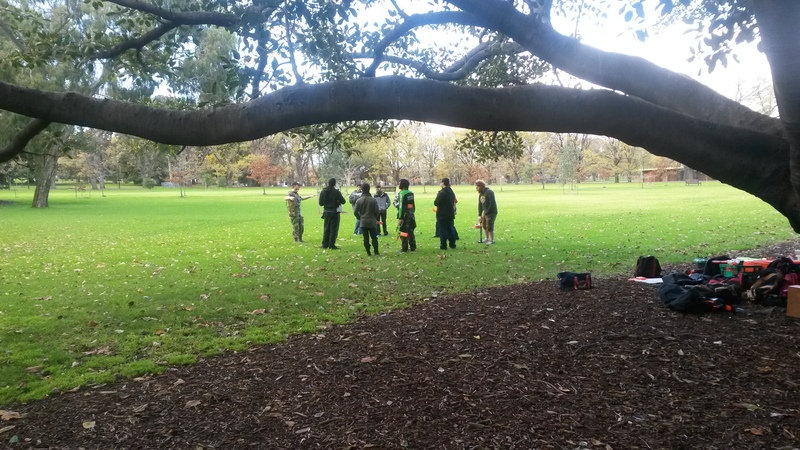 Temperature was relatively low, peaking at or below 15 degrees C, and there were a few light showers early in the event which temporarily prevented the use of flywheelers and other electric blasters. Player count started around 15, increasing to around 20 by half way through the event. In contrast with the usual Survival games we play, in this event we played with hidden OZs for the sake of shorter games. On top of a few starting zombies, there were a couple of hidden OZs picked by the starter zombies, and I must say that some of the hidden OZ choices were very well done. Quite often the hidden OZs were some of the experienced and well equipped players, those who have serious blasters and serious tactical gear. 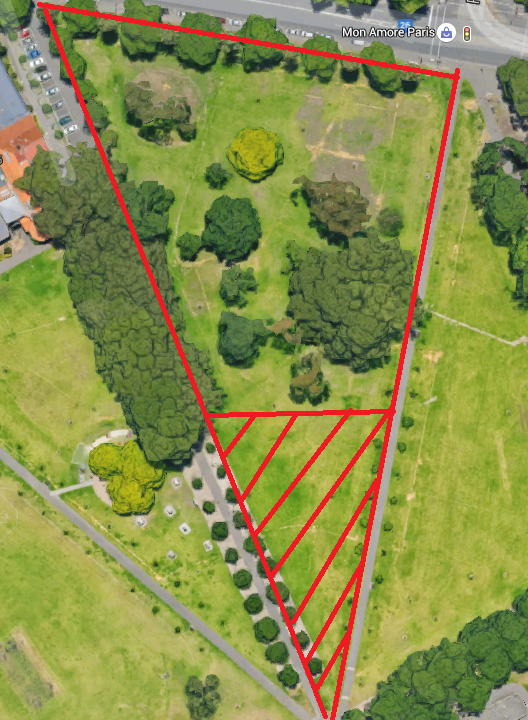 This choice of hidden OZ crippled that particular group of humans, and by extension significantly reduced the humans’ firepower. I was quite often the target of the hidden OZs, which both annoyed and amused me. Annoying because hidden OZs are almost impossible to defend against if you want to survive but still be in the action, and amusing because being targeted by hidden OZs suggests that they see me as a threat, or just don’t want me to be one of the last survivors. The addition of hidden OZs didn’t appear to significantly increase paranoia among humans or change human tactics or attitudes significantly, if at all. Unlike Secret VIP where there is a human win condition and a particular player to protect, in Survival all humans are equal and will fall, eventually. Secret VIP is an objective game specifically designed for mistrust and paranoia, while Survival is an open doomed final stand game, which I believe contributes significantly Survival w/ Hidden OZs being not too different to ordinary Survival. I was a hidden OZ in one of the earlier rounds, before the “reveal hidden OZs after 5 minutes” rule was implemented. As I’ve mentioned before in previous game reports, I make for a very bad traitor in Secret VIP and by extension am also terrible at being a hidden OZ. 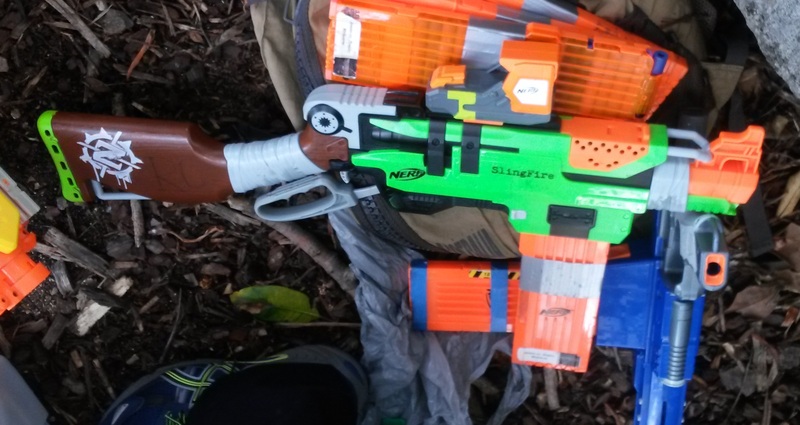 My natural instinct in HvZ is to survive as long as possible, and that combined with my need to make what I believe is a good tag result in me usually not tagging anyone for a long time. In fact in that round I was the hidden OZ, I was one of the last ~6ish humans remaining, and one of the zombies mentioned that they didn’t want to see me as the last survivor again. Immediately following that, one of the humans turned and shot me, stunning me for 15 seconds (as per HvH rules when hidden OZs are in play), causing me to get tagged by zombies. My hidden OZ/Traitor instincts are just very, very poor and I’m very bad at recognising good situations to betray the humans. Besides the annoyance of being turned by hidden OZs, Survival was pretty much the same as usual, with the exception of being shorter, as intended. The greater number of starting zombies (starters + hidden), immediate availability of the Tank shield plus the ability for the hidden OZs to break up an otherwise powerful human formation made zombie progress much faster. Secret VIP worked decently, chaotic as usual. We played several rounds and saw the humans have a lot more success than usual. I believe there were a couple of factors that contributed to the humans’ improved performance. In previous game reports, I’ve commented frequently about the power of the Traitor. Against a decent group of humans, the Traitor is pretty much the only way that the zombies can get a serious shot at breaking the group or getting the VIP. In several of the rounds we played today, it seemed that the Traitor was unable to perform an effective betrayal. The times that I noticed the Traitor, they had already revealed themselves yet been stunned by other humans, after which they were promptly grenaded. Part of this was possibly due to the armament of the chosen Traitors. In previous events, a Traitor was often most successful with a rapid fire weapon, e.g. 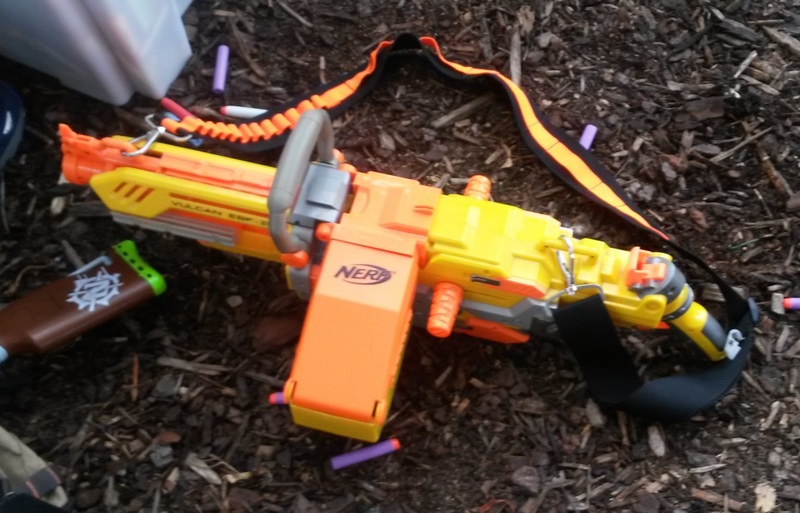 a Stryfe or Rapidstrike, as it allowed them to suddenly spray a whole load of darts at the nearby humans. In this event, I saw Traitors using slower springer blasters, such as a pump grip Longshot, preventing them from stunning a significant number of humans before being noticed and stunned themselves. With the Traitor revealed, the humans, especially the VIP, can feel far more at ease and can focus entirely on fending off the zombies. Though Tank rushes can still pose a threat if not spotted and dealt with quickly, a decent human team can easily survive the full time limit with the Traitor out of play. Another contributor I believe was the time limit. In ordinary Secret VIP, the survival timer is 15 minutes, which provides a significant challenge as there is plenty of time for the horde to slowly whittle down and tire the humans. This in turn allows for many opportunities for the Traitor to tear through the human group at the right time, usually resulting in a zombie victory shortly after. In previous events, the Traitor would often reveal themselves only within the last ~5 minutes, against an already diminished human group. With only 10 minutes on the clock however, the zombies have less time to try and make an opening for the Traitor, and the Traitor in turn has much less time to make a move to make an opening for the rest of the zombies. This seemed to put a lot more pressure on the Traitor, forcing them to reveal themselves in less ideal situations against more humans, leading to their demise rather than a human slaughter. Something of note as well here is that the human groups seemed to defend quite well this event. The ordinary zombies spent very little time in the tambark area, and spent almost all of the time stunned, or prowling around the edge of the tambark without finding any significant gap in the human defence. The Tank naturally had better though still limited success, with some good tank rushes catching the nearby humans off guard, allowing the Tank to get a tag before being hosed down by the other humans. On the whole however, human casualties were relatively lower this event in Secret VIP than usual. One final contributor I believe is the shield we used for the Tank. Typically there are a couple of shields on offer, all of which are very large, easily enough to obscure all but a person’s feet, with ample width for protecting ordinary zombies to form a nice zombie train. In this event however, we only had container lids available, which are substantially smaller than the usual shields. They can cover the entire torso and upper legs, but leave the head, lower legs and feet exposed, and are not as wide. As such there were a lot more instances of humans stunning Tanks by going for the legs, and it was much easier to flank and stun Tanks. Besides the Traitor, Tanks are the only chance of breaking through the mass of humans, and a Tank‘s ability to protect themselves in a charge is crucial to a successful charge. With significantly reduced protection, it is much harder for a Tank to reach their intended (or unintended) target before getting stunned and thus forced to retreat to unstun. With reduced offensive capabilities and less time, the zombies are significantly disadvantaged compared to previous events, which I believe led to drastically improved human performance. Squad Survival was the last game of the day, and it was quite interesting and hectic. 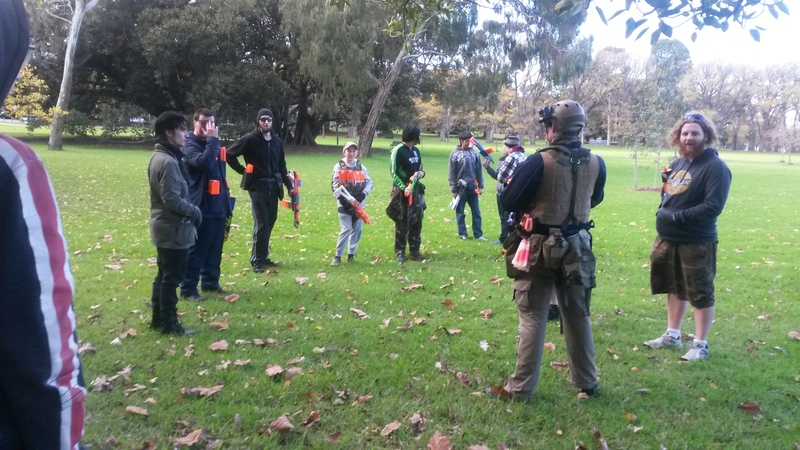 In Survival, particularly with the ordinary zombie stun (25 seconds) and without hidden OZs, a good group of humans can survive for very long through coordination, constant movement and raw firepower. Squad Survival significantly reduces human coordination and firepower, and also adds in extra threats in the form of other humans. 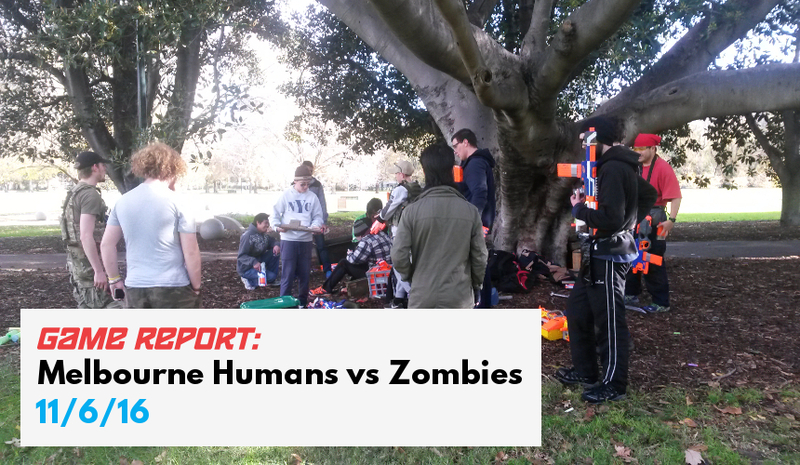 In regular HvZ, humans have a massive advantage over zombies in the form of a massive range advantage, and since the zombies are no threat at range (besides the Husk), the humans do not need to be especially vigilant when not near enemies. 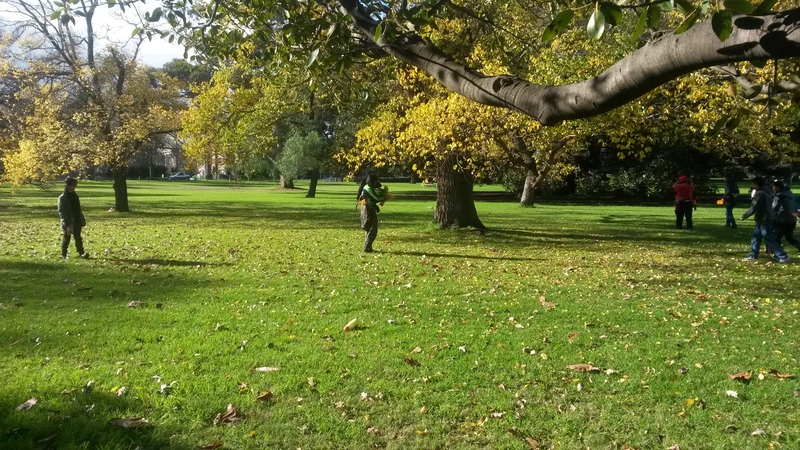 In Squad Survival however, there is the threat of ranged combat from other humans coupled with the insistent attacks from zombies, which results in a far more chaotic and combat intensive gamemode. In the round we played, my squad lost a squadmate early on through a well timed attack by another squad, while in combat with the few starting zombies. This put my squad at a significant disadvantage being 1 player down, and made us a prime target for the zombies given we would be easier to attack than any of the other squads. The two of us kept moving, constantly chased but not seriously threatened by the starting zombies, trying to draw them into conflict with other human groups to give us a reprieve. It became quickly apparent that there were two distinct types of human squads. 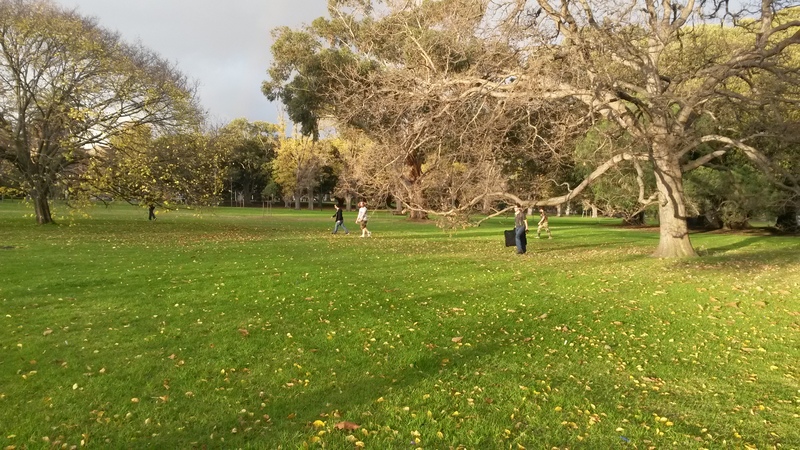 The first, which was how my squad behaved, was generally friendly and happy to help other humans fend off zombies. Effectively these squads treated the game as an ordinary Survival, rather than a Squad Survival. Though especially helpful in midgame, working with other human squads goes directly against the game type, which is. The second type of squad is the hostile type, those who attack other human squads when in range and aren’t afraid to fire on humans under threat from zombies. These groups are the most vulnerable in mid game, when friendlier squads are working together and the zombies are looking for easy victims, since a single squad is an easier target than a larger squad. In late game however, hostile groups are more inclined to stun human groups, and so are more likely to be the last squad standing, shortly before their demise at the hands of the full horde. In Squad Survival, actively engaging in combat with other human squads throughout the game is very dangerous. Although you will cause a lot of humans to have to go and respawn, you yourself will also have to respawn at times, leaving yourself vulnerable to any nearby zombies. Too much aggressive play and you risk getting eliminated into a zombie, which defeats the purpose of being aggressive. Conversely, being too defensive and too friendly to other squads leaves you highly vulnerable to betrayal and thus zombification during your respawn run. The added element of having to deal with opposing humans as well as the ever growing zombie horde adds an extra intensity to Squad Survival, and by virtue of greatly reducing some of the humans’ main weapons against the zombies, also seems to be shorter than regular Survival. I rather enjoyed Squad Survival, though I would personally prefer squads of maybe 4, as 3 to me feels a little small. That in itself does contribute to the chaos and intensity of Squad Survival though, so perhaps 3 is the right number. Regardless I would be happy for Squad Survival to become a staple gamemode for MHvZ. Survival w/ Hidden OZs fulfilled its purpose of being a shortened Survival. Although the hidden OZ element can invoke some salty feelings, everyone has been good about it and has taken it as part of the game. This entry was posted in Game Reports on June 18, 2016 by Outback Nerf.